The Hollywood movie Thor came out a couple of years ago; last year it was followed by The Avengers, and a sequel will be coming out at the end of this year. The movie character is based on the Marvel Comics superhero, created by the famous Stan Lee, and the films place ancient gods in the modern world, interacting with humans and having spectacular magic vs science showdowns. The Australian connection to this story is that Thor is played by Chris Hemsworth, who appeared on the blog as a celebrity dad last year, after welcoming daughter India Rose with his lovely wife Elsa. Thor‘s world premiere was held in Sydney. In Norse mythology, Thor is the god of thunder, lightning, storms, oak trees, strength, healing and fertility. He is a protector of humanity, and the god who makes things holy. He is generally depicted as a large, muscular, red-haired and red-bearded man with fierce eyes, wielding a hammer that can pretty much smash through, well, everything. Medieval epics describe Thor’s exploits in battle, and his fearsome wrath with anyone who crosses him. He is no steroidal oaf though, and capable of outwitting others and being clever with words; he sits as a judge at the foot of the World Tree. It is foretold that at the world’s destruction, Thor will do battle with his arch-enemy The Great Serpent and slay it, but will succumb to its venom and meet his end. I think it’s too tempting for us moderns to imagine Thor as some sort of beefcake with anger management problems, but to his worshippers he was a source of strength and protection for their homes and possessions, giving security to family and community, and warding off plague and famine. As the product of a divine marriage between the sky god Odin, and the earth mother Fjörgyn, he was a potent fertility symbol, and like lightning, he was a conduit between the heavens and the earth. The storms he brought with him watered the fields and made life grow. Thor was worshipped by Germanic peoples, including those in Anglo-Saxon England, and the Vikings of Scandinavia, but it is from Norse mythology that most of our information about him is gained. His name is derived from an Ancient Germanic word for “thunder”; the Old English form of Thor is Thunor (pronounced THOO-nor), which makes the connection even more obvious. It is a testament to his vast popularity how many names used in Britain there were that derived from Thor. A few that have survived into modern times, although rare, are Thora, a feminised form of Thor; Thurstan, meaning “Thor’s stone”; and Torquil, meaning “Thor’s cauldron”. His name is also in Thursday, meaning “Thor’s day”. In Scandinavia the name Thor isn’t uncommon, and is pronounced TOR. Some famous Thors you may have heard of are Norwegian ethnographer Thor Heyerdahl (who crossed the Pacific on a raft named Kon-Tiki), Norwegian cyclist Thor Hushovd, Danish poker player Thor Hansen, Venezuelan human rights activist Thor Halvorssen, and Belgian singer Thor Salden. Although the name Thor continued to be occasionally used in Britain, it is much more common in the United States, which has had significant migration from Scandinavia. Quite a few people named Thor can be found in Australian records, and most of them have Scandinavian surnames, or emigrated here from Scandinavia. I recently saw a birth announcement for a baby boy named Thor, born in Tasmania; remarkably there was a Loki announced that same week, and an Odyn the following week. Not long ago, Nameberry announced Thor was shaping up as one of the hot names of 2013 (along with other mythological names), and at the end of last year, told us that Scandinavian would be the ethnic name group most likely to rise in popularity. Meanwhile Abby’s Nameberry Nine this week pointed out that boy’s names are getting cooler all the time – even her little girl has noticed. If you are considering the name Thor for your son, it is not only strong and interesting, with an ancient history that plugs in to European culture, but also right on trend. With the Chris Hemsworth movies in the public consciousness, Thor is a name we’re all more familiar with, and for dads who hanker after a tough cool baby name, they might find it easier to persuade their partners if they have been smitten by Hemsworth’s hunkiness. 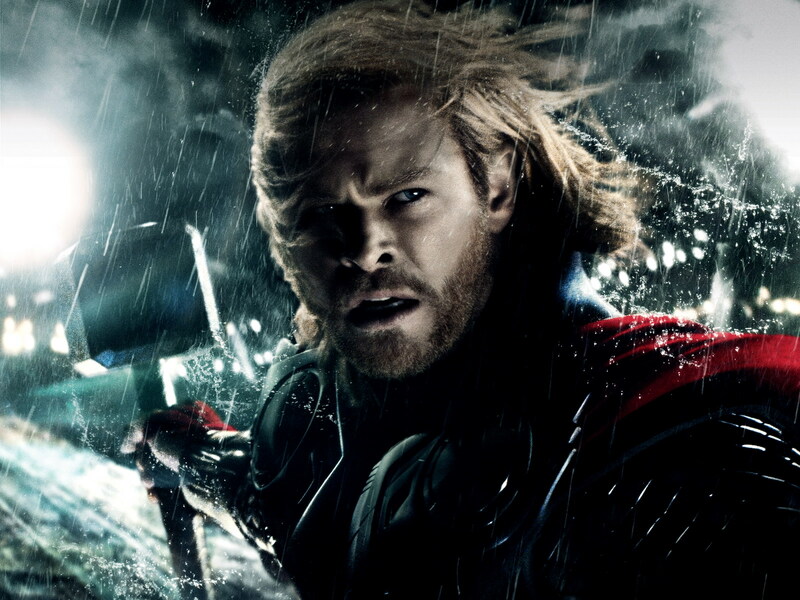 POLL RESULT: Thor received an approval rating of 59%. People were divided on the name Thor, with 16% thinking it was unusual, but something we’ve all heard of, while the same percentage thought it was over the top. 11% thought the god Thor gave the name greater substance and dignity, while 8% thought the god made the name seen heavy and oppressive. 7% considered that the movie made the name seem more accessible, while 5% saw the movie as making the name geekier.